In the early childhood and schooling sectors we have responsibility for strategic leadership, policy development and has a substantial operational role. Our role in the tertiary sector is focused on leadership and setting direction, stewardship and governance and monitoring and evaluation. The Tertiary Education Commission and the New Zealand Qualifications Authority have a more direct interface with the tertiary education sector. 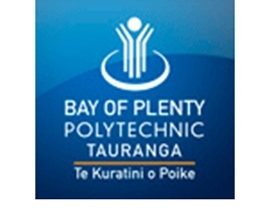 Bay of Plenty Polytechnic is a unique, dynamic learning and working environment where you can discover your strengths and potential. It’s a place where you’ll build lifelong relationships with like-minded students and passionate staff while making essential industry contacts. We’ll foster and nurture your talents, and help you reach your personal and professional potential whether you are a student or staff member. Take your time, have a browse, it could change your life! Tertiary education provider in Rotorua, Taupo, Tokoroa and Whakatane. From trades certificates to bachelor’s degrees and beyond. Waiariki is comprised of six schools of study, including a wānanga. Each school is responsible for specific areas of study, as indicated below. They each have a main reception area where you can gain more course information, enrol, collect your student ID and parking sticker, turn in assignments, have your questions answered, and more. Established in 1984, Te Wānanga o Aotearoa will provide holistic education opportunities of the highest quality for Māori, peoples of Aotearoa and the world.